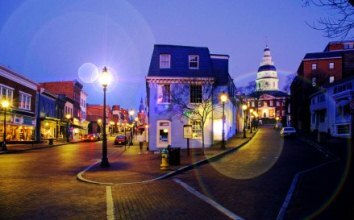 If you live or do business in the great, historical capital city of Annapolis and need a locksmith call King Locksmiths. We’re the locksmith Annapolis MD residents and business owners call when they need fast, affordable and dependable locksmith services for their home, car or business. We have skilled technicians, competitive pricing, and honest service. We’re a licensed, bonded and insured family-owned company. We are an Annapolis MD locksmith that’s available 24/7. Our locksmith services include a wide variety of products and services such as commercial locksmith, auto locksmith, door installation and repair, safe cracking, and more! In an emergency the locksmith Annapolis MD and Washington DC residents call is King Locksmiths. Our Annapolis MD Locksmith Team will quickly send a team of experienced technicians equipped with the latest technology handle any problem with vehicle, home or business locks. We’re also the Annapolis MD locksmith to call to repair, re-key or replace the locks in your home. We have the highest quality products, superior service and dependable maintenance programs for houses and apartments. Our technicians can advise you on the best solutions for your home or install the locks you want. Maryland and Washington DC area businesses can get affordable, reliable locksmith services from King Locksmiths. 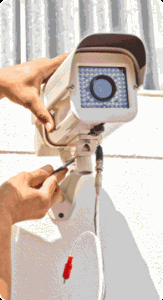 We’re an Annapolis MD locksmith that can help improve your business and your employees’ safety and security. For Fast, Affordable and Friendly Locksmith Services call King Locksmith Maryland. We offer a 10% discount for Military, Students, seniors and Crime Victims. Today’s fast paced times create the need for commercial businesses in Annapolis, Maryland to be ever aware of the importance of safe guarding their important records and equiptment as well as their premises. This requires the services of highly trained Annapolis Commercial Locksmith Professionals who specialize in commercial security. When it comes to doing business quality is most important. Here at King Locksmiths in Maryland, we provide top quality Commercial Locksmith Service for Annapolis and surrounding areas. When a locksmith emergency occurs and you need fast service, call on our Professional Locksmith Team. Immediate response is part of the quality we at King Locksmiths offer our clients for emergency after break-in door repair, office lockouts or building lockouts. Offices are fitted with expensive equipment that stores sensitive data. King Locksmiths Annapolis Maryland experts can arrange for high security lock intstallation that will take the guesswork out of security for you. You would be amazed at the vast range of proficiency it takes to create systems that are designed specifically with your company’s requirements in mind. 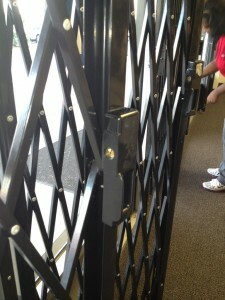 We value our customers trust and work toward providing the best commercial locksmith service Annapolis MD has to offer. We, at King Locksmiths, guarantee all our work and make it a point to provide the lowest prices possible and superior locksmith skill for Annapolis and all surrounding areas. Contact us today for information on how we can help your business. King Locksmiths is your one-stop-shop for residential, commercial, automotive and emergency locksmith Maryland and DC services. That’s not all! We also have expertise in door repair, replacement and installation services – which is what you need for a very safe entrance to your home or business. We have been in this business for many, many years making us equipped with the necessary skill and expertise in the business of door replacement. King Locksmiths is proud to be one of the most well known business for locksmith services and door repair, replacement and installation serving Annapolis Maryland, and this area. 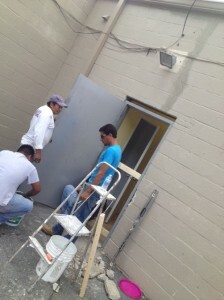 Our door installation employees will then start the process of removing the old doors and installing the new doors. Our clients may always expect that our door installation services will never fail to live up to the quality that we will always promise to them. Are the door entrances personal dwelling causing you to feel insecure because they are old, worn out and do not work well? If the doors to your house are not working well anymore, it may be the time for door replacement. Door Replacement is not only for , it is also a matter of needed security for your personal property. It will always be good to be sure that the door entrances in your house are up to the task of always preventing unwanted visitors from accessing your home property. Locksmith Annapolis MD Services with King Locksmiths https://kinglocksmiths.com/locksmith-annapolis-md/ 3.9/5 based upon 26 reviews.